After years of wowing audiences in Japan since 2002, a-nation finally made its way here for its first-ever show in South-East Asia. As one of Japan’s biggest Summer music festivals, it was no surprise that the line-up includes many highly-anticipated big names. The 2000-strong crowd was in for more than four hours of entertainment, enjoying performances spanning across varied styles. 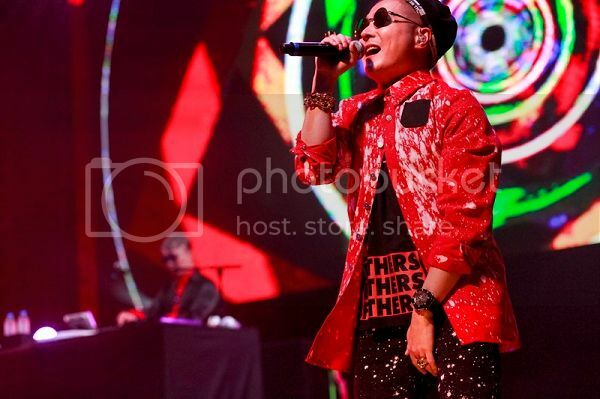 Ayumi Hamasaki was the headlining act at the first-ever overseas a-nation concert in Singapore which co-featured artistes like m-flo, Wagakki Band, Sonar Pocket, Aaron Yan and GENERATIONS. The four hour-long gig held at Marina Bay Sands’ MasterCard Theatres showcased the very best of Japan’s music scene, from Wagakki band’s traditional music fused with modern rock beats to boyband Sonar Pocket’s uplifting songs and m-flo’s party remixes – there was so many things to offer for 2000 attendants. 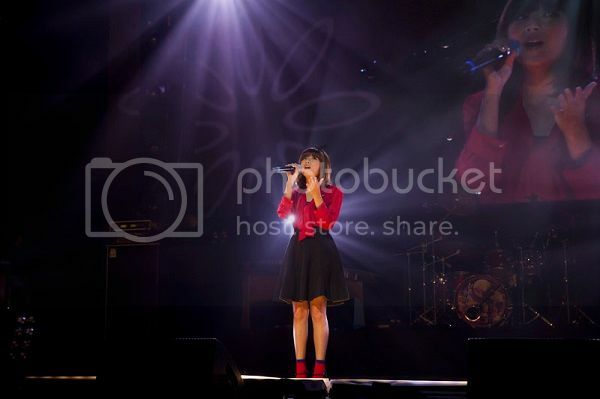 The pre-concert performance was done by home-grown singer Stella Seah. Her vocals were strong and well controlled, which made it pleasurable experiencing her performance. On the MC part, Stella said that she is also a big fans of Ayumi Hamasaki and she was really happy that she could be there to sing at the opening of a-nation 2014 in Singapore. Nevertheless, a young singer with great potential. After the opening act from Stella Seah, a-nation footage was played in big screen. From a-nation 2002 until this year’s live, a-nation includes Taiwan and Singapore. Everyone was getting high and they waved their light stick. Since we could see the stage with band instruments set-up, audience correctly guessing the next performers. Yes! It’s Wagakki Band! Gracing the night as the first act was Wagakki Band, the band whose tunes are a unique blend of classical Japanese and rock music. They boosted moods up a notch with their heart-thumping performances, a truly unique blend of Japanese rock music as the result of traditional meets contemporary. Started with Senbonzakura, one of the most famous vocaloid songs for fans of Japanese music, they succeed to steal attention of the audience with Wagakki’s unique arrangement which is energetic and interesting. 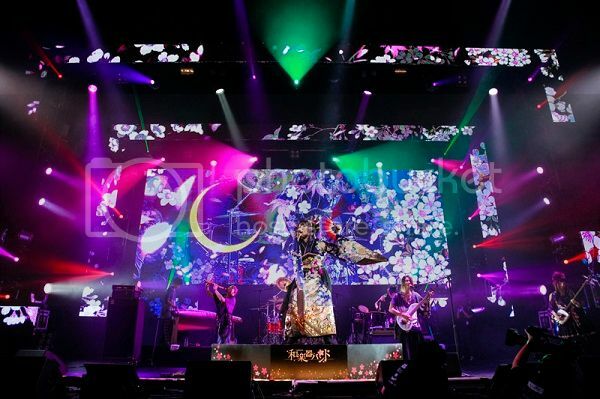 The stage was simple but quite impressive and able to make Yuko (vocal), Machiya (guitar), Asa (bass), Daisuke (shakuhachi), Benina (shamisen), Kiyoshi (koto), Wasabi (drums), and Kurona (wadaiko) expressed their own music. 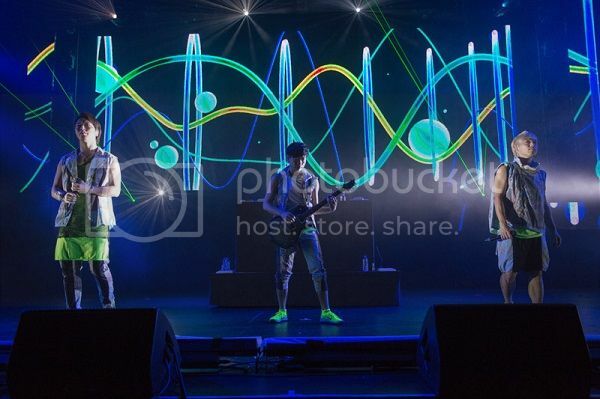 Although the stage was quite small for 8 people, they kept on running and moving to all directions especially Machiya, Asa, Daisuke , and Benina. The MC part was done by Yuko, Wasabi, and Kiyoshi. Yuko greeted Singaporean fans in English! She speaks a very good English. She said that this is the first a-nation for Wagakki Band and they all are very happy to be in Singapore. Next, Wasabi greeted us in Chinese and Kiyoshi talked in Japanese. Beside the remixed vocaloid songs, they also sang the new released single, Hanabi, for the last song. Hanabi is the first song they’ve created, since the Vocalo Zanmai Album was consist of 12 songs which covering vocaloid songs with remixed musics. Next up was Taiwanese artiste Aaron, which is very similar to many Taiwanese young male artistes – dance/pop style with some ballads. He performed some new tunes from his latest music album and drama series. Sadly there are only a few fans of his with the neon fan signs. Other than the short display of dance skills, there were barely any theatrics employed to help the suave crooner fill up the large stage; at any given time, there were only a maximum of two backup dancers sharing the limelight with him. However, this far from meant that his debut appearance here as a one-man act was any less impactful than hoped. If fans were worried about him losing his appeal after going solo, they were proved wrong as Aaron’s own stage presence was more than enough to keep everyone in rapture. Sonar Pocket followed up soon after, and finally managed to get the audience to stand. (after much prompting from the emcee as well; more on the emcee later in Part 2) Their music direction reminds me of a good mix of electric pop heavily influenced by other Vocaloid DJs, minus the overdone crazy bass, succesfully impressed the audience with their uplifting and easy-listening pop-rap songs.The singers within the group are also worth mentioning, as they have good vocals to carry off the ballads they have created. Pint-sized vocalist Eyeron had the most energy to give, bounding around like an excited puppy! The trio’s enthusiasm was infectious and the crowd got the party on in no time, lightsticks moving in unison. -Girls Award – Taking a short break from the music, the Fashion Show segment commenced with top Vivi model Lena Fujii and other popular faces like Arisa Yagi and Nicole Ishida strutting their stuff in trendy apparel from Lowry’s Farm. The small five minute segment was pretty nice. The ladies did their catwalking and showcasing some of LOWRY’S FARM clothing catalogue. The ladies teased the front-most audience when they removed some of their clothing and toss it over to them (coats and hats). Among the models featured, the popular models Lena Fuji and Nicole Ishida were the most charismatic, spontaneous and beautiful. It’s something about their catwalk that exudes this bubbly, yet sophisticated aura that does not translate well in their photos. Next is time for one of Japan’s most popular boybands, GENERATIONS from EXILE TRIBE. sent female fans into a tizzy with their catchy dance songs and sleek dance moves. The boys even performed an English rendition of three songs specially for Singapore fans. Alan Shirahama, Ryouta Katayose, Ryuuto Kazuhara, Hayato Komori, Reo Sano, Mandy Sekiguchi, and Yuuta Nakatsuka earned the most screams even before appearing with an English version of ‘HOT SHOT’ . Unlike many of the typical pretty-faced boybands out there, the 7-piece act was full of electrifying masculine attitude. The group rocked the stage with well-executed dance moves (in matching leather pants, no less), and judging from the predominantly female screams. When it came to the more sentimental ‘Love You More’, English lyrics were projected in the backdrop and fans sang along together. All pumped out with the next preformers m-flo! When they took their turn, the venue seemingly turned into a club. Spinning their dubstep-heavy hip-hop tunes accompanied with vocals by Minami from Cream, they made commendable effort in the aspect of audience interaction. With music woven by ☆Taku’s brilliant high quality tracks and VERBAL’s lyrical flow, m-flo infused a new wind into the Japanese music scene by working freely throughout the underground and into the mainstream. They impressed the audience with all the songs. From jumping at their seats to synchronize movements of light sticks, the duo got everyone into action and it felt as though the whole experience was one big party. The duo also showcased their versatility by doing a nice romantic number with All I Want Is You. Even though it was a good 3 hours plus into the show and the night was getting late, m-flo erased all that with their energy and audience interaction. Saving the very best for the last, Ayumi Hamasaki finally took the stage at 8 p.m. Promising to showcase more than just her music at this performance, the award-winning artiste also brought with her a big entourage of at least 20 musicians and dancers. Despite the limited stage space, no efforts were spared to bring forth the best she had to offer fans. Thanks to her massive entourage, it felt as if we were watching snippets from her 15th Anniversary Tour A-Best concert unfold on stage. Ayumi’s vocals were in tip-top condition last night too and she impressed with her range, going from soft and gentle to strong and powerful. Naturally, the best was saved for the last. Making a grand entrance in a bejewelled bodysuit, Empress of J-pop Ayumi Hamasaki worked her moves in a breathtaking performance. Though it’s been more than a decade since her debut performance here, she still has that youthful fire in her.“ You are all beautiful. I want you to be proud of yourselves!” she passionately said to cheers in the MC part and wrapping up the night on a high note. Ayu-Chan expressed a range of moods throughout, showing off how much of a musical chameleon she is. During the driving chorus of ‘Memorial Address’, she flipped her hair with reckless abandon. The more emotional ‘Love Song’ started off stripped back with just piano accompaniment, allowing for more focus on her powerful vocals. She then picked things up again with upbeat pieces like ‘Lelio’ and ‘You and Me’. 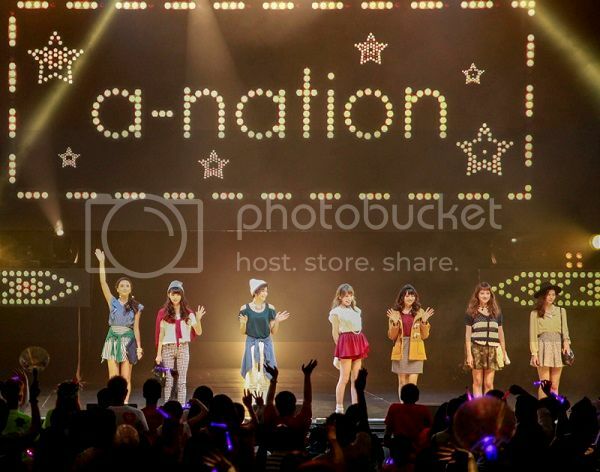 As the festivals ended, the audience cannot be patient for the next a-nation since all the artists said they were really enjoying Singapore and promised us to come again. Anyway, AAA (one of avex’s artistes) announced, at their domestic tour yesterday, that they will be participating in a-nation’s Singapore and Taiwan concerts in 2015. 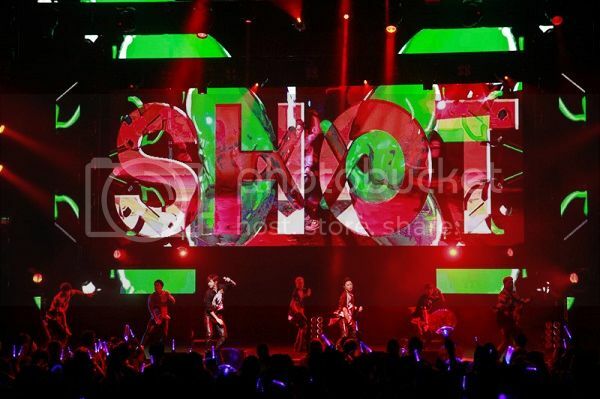 Photos of Ayumi Hamasaki, M.Flo, GENE, Wagakki Band, Aaron, and Stella Seah are credited to Leanne Chai. Photo of Sonar pocket is credited to RE:MAKE Photography.